A month and a half after a nerve-racking launch accident and the risky emergency landing of the Soyuz MS-10 mission, another Soyuz spacecraft lifted off with a fresh crew in the latest attempt to staff the International Space Station, ISS, with the three members of Expedition 57 and 58. A Soyuz-FG rocket launched the mission from Baikonur Cosmodrome on Dec. 3, 2018, at 14:31 Moscow Time (6:31 a.m. EST). The Soyuz MS-11 crew works inside the flight-worthy vehicle during its final preparation in Baikonur on Nov. 20, 2018. Soyuz MS-11 is being unloaded from its rail transporter on Aug. 29, 2018. As of beginning of 2017, the launch of the Soyuz MS-11 mission was planned for Nov. 8, 2018. In the later iteration of the ISS flight manifest, the flight was re-scheduled for November 15 and by September 2018, it was pushed to December 20, 2018. However in the wake of the Soyuz MS-10 launch accident on October 11, the next Soyuz mission was advanced to Dec. 3, 2018. 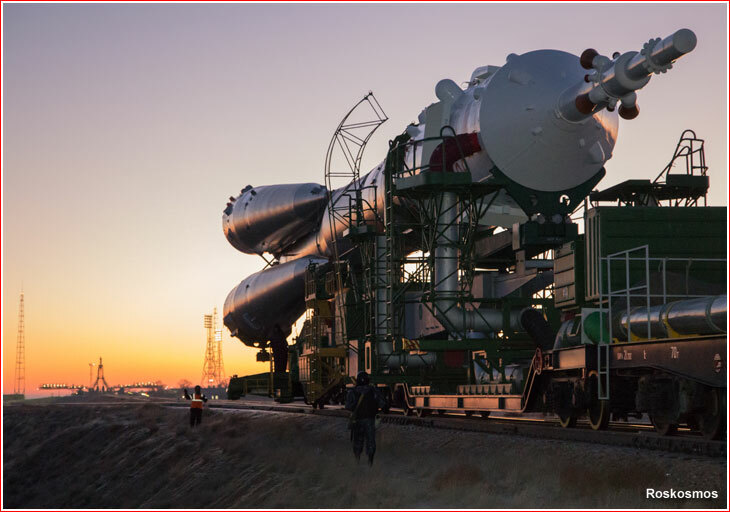 The Soyuz MS-11 spacecraft arrived at Baikonur and was unloaded from its delivery train on Aug. 29, 2018, however it was put in storage the next day, while awaiting the start of its launch campaign. The active processing of the spacecraft began at the launch site in November 2018. 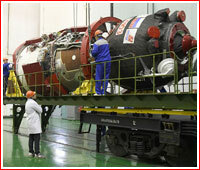 On November 12, Roskosmos announced that leak checks of Soyuz MS-11 in a vacuum chamber had been completed. The vehicle was then moved to its test rig at the spacecraft processing building at Site 254 where it would be connected to its checkout systems, Roskosmos said. 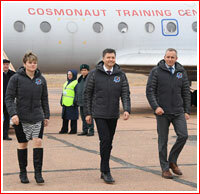 On November 19, the primary and backup crews of the Soyuz MS-11 spacecraft arrived at Baikonur Cosmodrome for final training. The primary crew included Russian cosmonaut Oleg Kononenko, Canadian astronaut David Saint-Jacques and American astronaut Anne McClain. 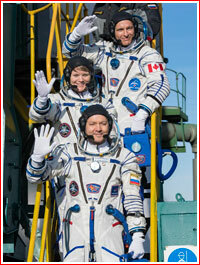 The backup crew was comprised of Aleksandr Skvortsov (Roskosmos), Luca Parmitano (ESA) and Andrew Morgan (NASA). 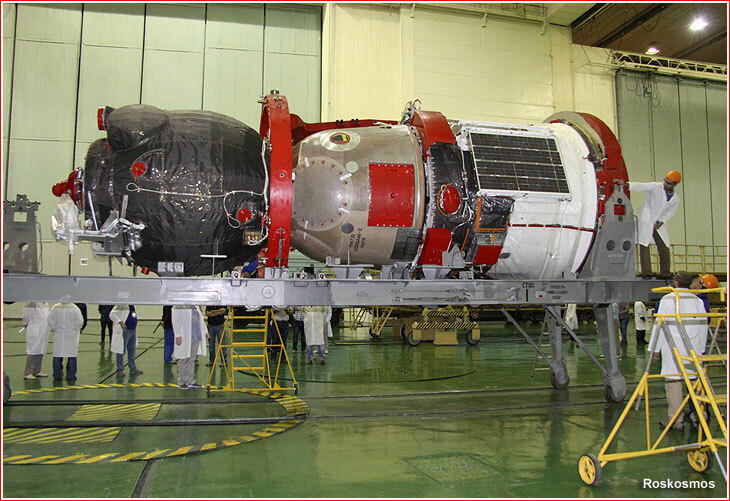 On November 20, both teams worked inside the flight-worthy Soyuz MS-11 undergoing final preparations at the spacecraft processing building. 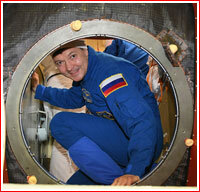 Cosmonauts and astronauts also tried on their Sokol spacesuits and checked them for air leaks. After completion of the familiarization training, Soyuz MS-11 was sent to fueling, which was completed on November 23 and, on the same day, the spacecraft was returned to Site 254 for final checks. 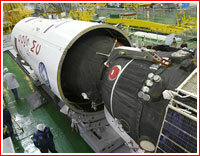 On November 25, Soyuz MS-11 was integrated with its launch vehicle adapter and on November 27, after the final inspection, the spacecraft was rolled inside its payload fairing. According to the processing schedule, on November 29, the primary and backup crew conducted their second and final familiarization training inside Soyuz MS-11, before its transfer to the vehicle assembly building on the evening of the same day. The integration of the spacecraft with the launch vehicle took place on November 30 and, on the same day, the mission management approved the rollout of the rocket to the launch pad on the morning of December 1. The Soyuz-FG rocket with the Soyuz MS-11 spacecraft approaches Site 1 in Baikonur on Dec. 1, 2018. 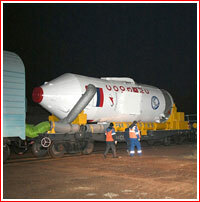 A Soyuz-FG rocket carrying the Soyuz MS-11 (No. 741) spacecraft with the crew of three lifted off on Dec. 3, 2018, at 14:31:52.519 Moscow Time (6:31 a.m. EST) from Pad 5 at Site 1 in Baikonur. The second (core) stage of the booster continued firing until 4.8 minutes into the flight. Moments before the second stage completes its work, the four-chamber engine of the third stage ignited, firing through a lattice structure connecting the two stages. Moments after the separation of the core booster, the tail section of the third stage split into three segments and fell away. The third stage continued firing until the command to cut off its engines 8.7 minutes into the flight. The separation command between the spacecraft and the third stage was scheduled for 14:40:41 Moscow Time (6:40 a.m. EST). As planned, the Soyuz MS-11 spacecraft followed a fast-track rendezvous with the station in four revolutions around the Earth, aiming for docking around 20:36 Moscow Time (12:36 EST) or just six hours and five minutes after liftoff. 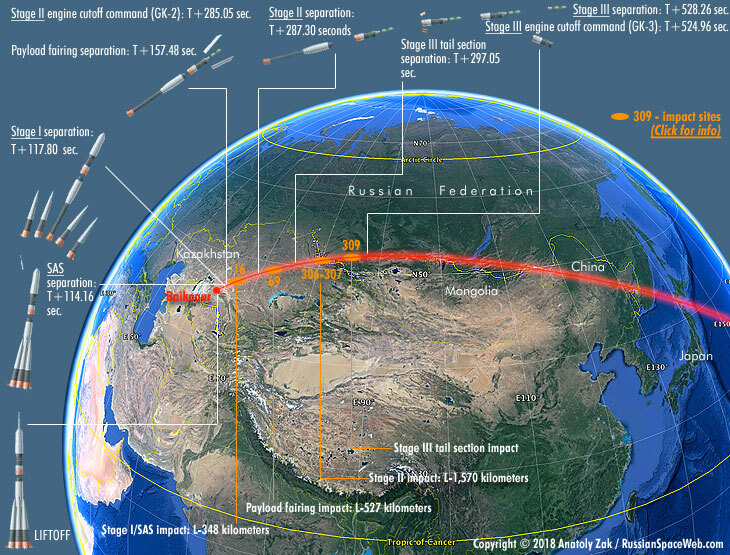 In the course of the orbital rendezvous, the Soyuz conducted a total of six orbit-correction maneuvers, climbing from its initial altitude of just above 200 kilometers to nearly matching the station's trajectory located roughly twice as high. *According to calculations around 10 days before launch; Exact time and duration is subject to change. 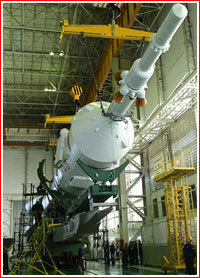 The autonomous rendezvous process was scheduled to begin at 18:26:20 Moscow Time (10:26 a.m. EST). As the two spacecraft were to reach an operational distance for the Kurs rendezvous system, its equipment aboard the Zvezda Service Module was to be activated at 18:57:20 Moscow Time, followed by the Soyuz's part of Kurs hardware a minute later. Around half an hour before the planned docking, Soyuz MS-11 was scheduled to reach a target point for initiating close-proximity rendezvous, maneuvering with it attitude control thrusters. Between 20:11 and 20:21 Moscow Time, the Soyuz MS-11 was scheduled to perform flyaround of the station to take a position above the outpost. After around a four-minute station-keeping period, the Soyuz was expected to perform berthing between 20:25 and 20:36 Moscow Time. The actual docking was reported as taking place at 20:33:20 Moscow Time on Dec. 3, 2018. The spacecraft berthed at the zenith (upward-facing) docking port on the MIM2 Poisk module, a part of the Russian Segment of the International Space Station, ISS. After leak checks and pressure equalization in the docking port, the opening of hatches between Soyuz MS-11 was completed at 22:37 Moscow Time (2:37 p.m. EST) on Dec. 3, 2018. Aboard the station, Kononenko, Saint-Jacques and McClain will join three other members of Expedition 57, Alexander Gerst, Sergei Prokopiev and Serena Auñón-Chancellor. They are currently scheduled to return to Earth aboard the Soyuz MS-09 spacecraft on Dec. 20, 2018. With their undocking from the station, Expedition 58 will officially begin aboard the ISS under command of Oleg Kononenko. The Soyuz MS-11 mission logo.